Queensland Firebird Caitlyn Nevins could find teammates Gretel Tippett and Romelda Aiken blindfolded. That understanding is both a bonus and a complication as the trio approach their fifth season in partnership. Elsewhere across Suncorp Super Netball, roster changes mean teams are busy forging new bonds. West Coast Fever, Collingwood, the Giants and Sunshine Coast are among those breaking in new attacking players. The Firebirds and New South Wales Swifts are the only teams unchanged at the attack end. Nevins, Tippett and Aiken know each other inside-out after forming at the beginning of the club’s 2015 premiership season. “It took a long time to build connections,” Nevins said. “You need to make decisions quickly. For me, I need to catch the ball and know where Gretel’s going to be. There is, however, a down side to starting the 2019 season as an established combination. “The challenge is that oppositions have more years of footage on us to study,” Nevins said. Since her arrival in Australia in 2008, Aiken has been one of world’s most prolific shooters. Over 11 seasons the Jamaican has worked hard to provide more of a threat away from the post. Conversely, Tippett has added to her creativity by strengthening her post presence. The Queenslander showed some of that talent during October’s Constellation Cup when she shot 61 goals at 92 per cent. 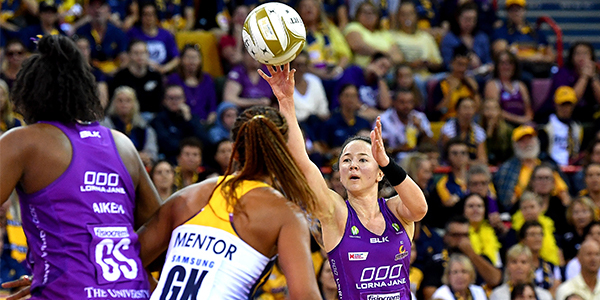 Still, the Firebirds expect the improvement to continue and the attacking trio are toiling under assistant coach Jenny Brazel to keep opponents guessing. “The magic of Gretel is her unpredictability,” Nevins said. “I can guess some of her movement patterns. But once she has the ball in her hands you don’t know what she will do. Capped five times for Australia, Nevins’s focus each offseason has been adding the muscle she needs to stand up to the competition’s toughest defenders. “I find it hard to hold my body composition. 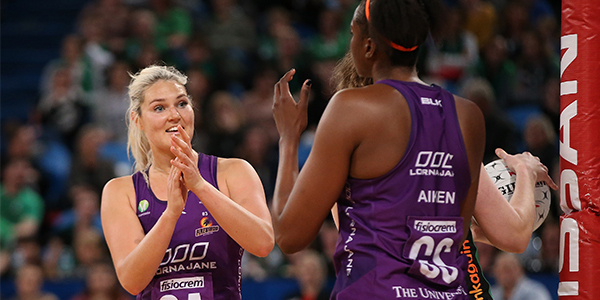 That’s why I have to do a lot of hard work in the off season to put on some bulk,” the Firebirds vice-captain said.